Genuine OEM Xerox Toner Cartridge, Black, 2,500 page yield. Xerox part number: 106R03500. Laser Toner Cartridge compatible with Xerox VersaLink C400, C405. Compatible Xerox Toner Cartridge, Cyan, High Capacity 4,800 page yield. Replaces Xerox part number: 106R03514. Color Laser Toner Cartridge compatible with Xerox VersaLink C400, C405. Compatible Xerox Toner Cartridge, Cyan, Extra High Capacity 8,000 page yield. Replaces Xerox part number: 106R03526. Color Laser Toner Cartridge compatible with Xerox VersaLink C400, C405. Compatible Xerox Toner Cartridge, Magenta, High Capacity 4,800 page yield. Replaces Xerox part number: 106R03515. Color Laser Toner Cartridge compatible with Xerox VersaLink C400, C405. Compatible Xerox Toner Cartridge, Magenta, Extra High Capacity 8,000 page yield. Replaces Xerox part number: 106R03527. Color Laser Toner Cartridge compatible with Xerox VersaLink C400, C405. Compatible Xerox Toner Cartridge, Yellow, High Capacity 4,800 page yield. Replaces Xerox part number: 106R03513. Color Laser Toner Cartridge compatible with Xerox VersaLink C400, C405. Compatible Xerox Toner Cartridge, Yellow, Extra High Capacity 8,000 page yield. Replaces Xerox part number: 106R03525. Color Laser Toner Cartridge compatible with Xerox VersaLink C400, C405. Compatible Xerox Toner Cartridge, Black, High Capacity 5,000 page yield. Replaces Xerox part number: 106R03512. Laser Toner Cartridge compatible with Xerox VersaLink C400, C405. 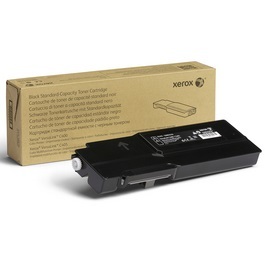 Compatible Xerox Toner Cartridge, Black, Extra High Capacity 10,000 page yield. Replaces Xerox part number: 106R03524. Laser Toner Cartridge compatible with Xerox VersaLink C400, C405.